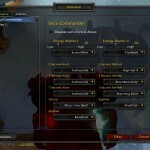 Slice Commander is a rogue energy meter AddOn for World of Warcraft. It is designed for maintaining Slice and Dice, as well as Hunger For Blood. 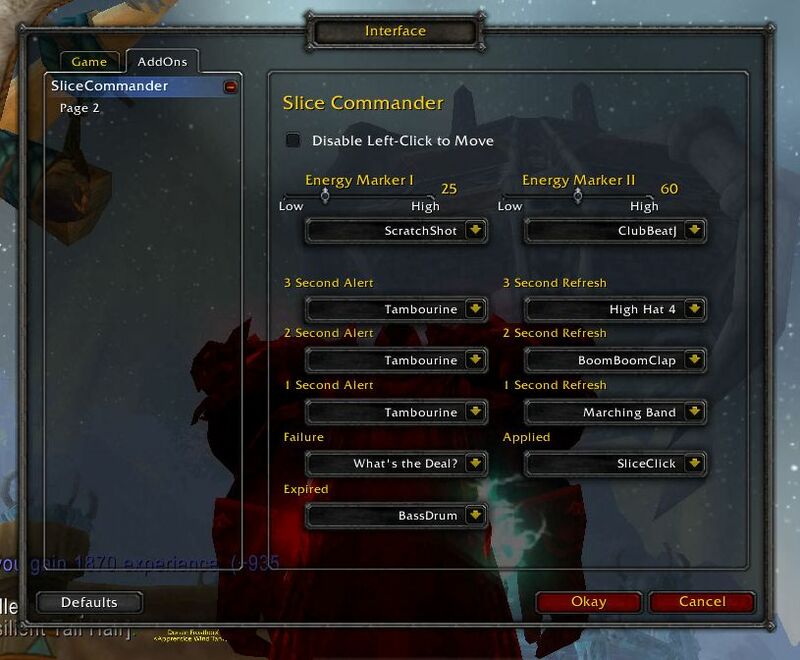 In addition to having cooldown bar goodness, it plays audio alerts on certain events. There are two adjustable divider lines which play an audio alert when your energy regeneration passes the divider. Also, there is a 3second audio warning on slice and dice about to expire making it extremely easy to pop off a SnD right at the last second before it wears off. 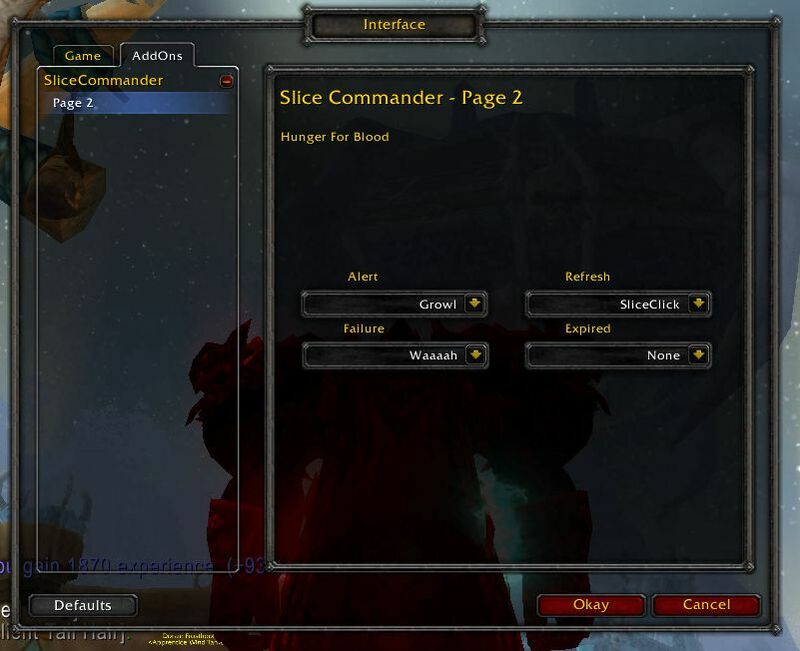 There’s a fair variety of audio files to choose from, including Christopher Walken saying “Guys, what’s the problem?” when you let Slice & Dice expire when you are in combat. 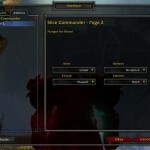 To modify AddOn options from inside World of Warcraft, hit escape, click on interface, click on interface options, click on AddOns, click on SliceCommander.